one with 'Make a Wish ...' script, one without, one distressed and grungy dandelion paper, and two coordinating dot papers. Great for layering as you can reduce the sizes of your layers whilst keeping the grunged edges. 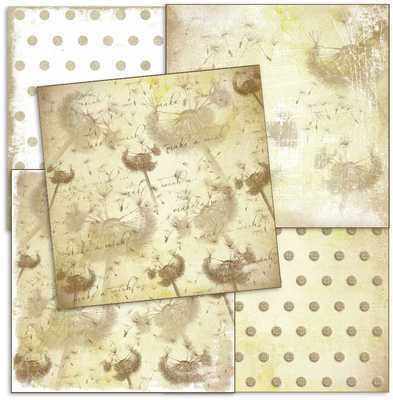 Above are closeup sections of the Dandelion Grunge and the 'Make a Wish script' papers. New 'Make a Wish ...' script stamp available.